MLB MIX Channel IS BIGGER, BETTER & ON THE AIR! NEW! MLB MIX Channel IS BIGGER, BETTER AND ON THE AIR! MLB Mix Channel, which is part of MLB EXTRA INNINGS, is now available on channel 720. 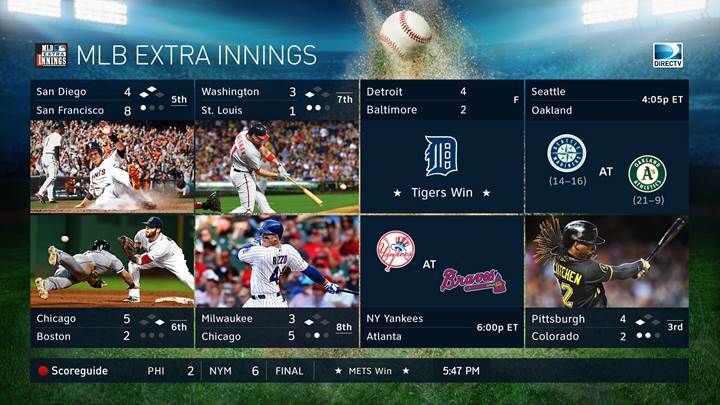 By tuning to the mix channel, MLB Extra Innings subscribers can watch up to 8 games at once and tune directly to channels 721-749 to watch a game of choice full-screen. The service is available throughout the MLB regular season (4/6 – 10/4).